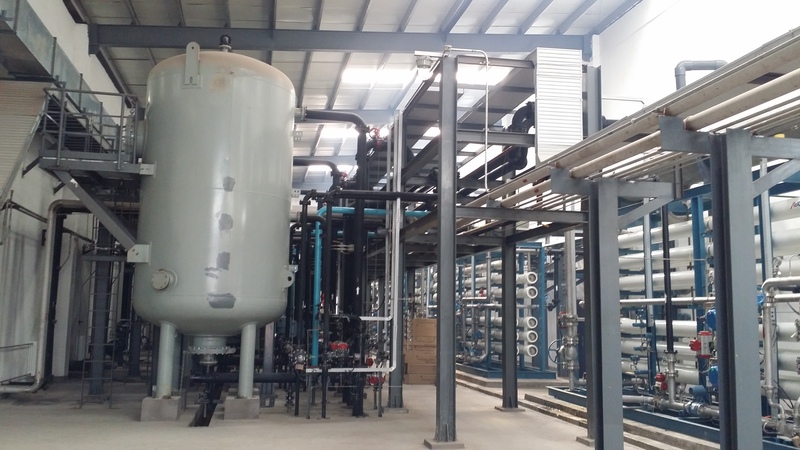 To reduce its carbon and water footprint, and to ensure statutory compliance, Shenhua Coal Oil Chemical Co. Ltd implemented a project to construct a system to recycle water from wastewater generated by the plant and eliminate waste water discharge (ZLD). Shenhua Xinjiang selected Aquatech to design, engineer, and supply the wastewater recycle and ZLD system, and to supervise installation and commissioning. Aquatech supplied a fully integrated and automated system developed by Aquatech for the CTX market utilizing state-of-the-art AquaEZ™ technology consisting of a HERO™ (High Efficiency Reverse Osmosis) followed by a HEVAP™ (High Efficiency Evaporation) evaporator and a crystallizer to eliminate liquid discharge from the plant. The AquaEZ™ plant consists of three systems; water recycle, zero liquid discharge, and recycle water post treatment. 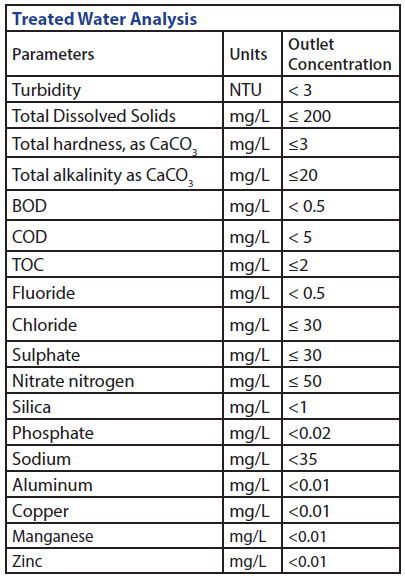 The CTX wastewater stream has high scaling and fouling potential due to the presence of hardness, organic species, ammonia, silica, etc. 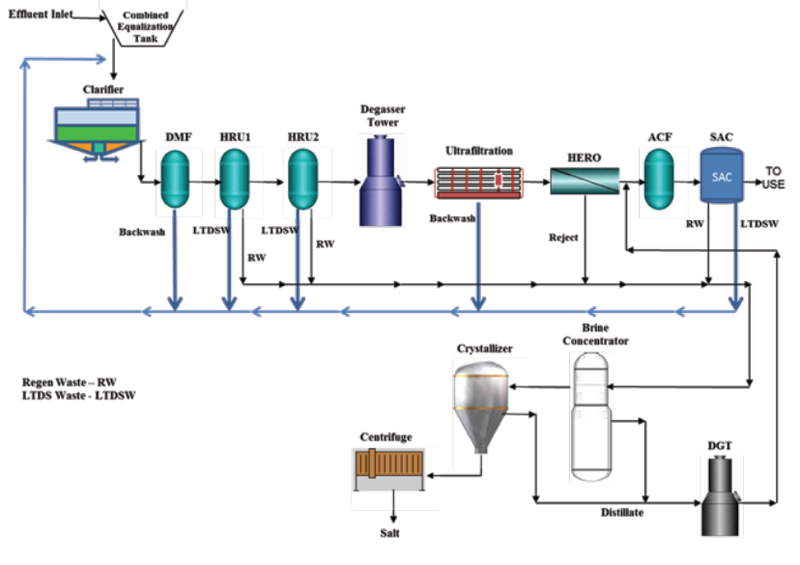 The wastewater stream is first concentrated by the HERO™ system, consisting of lime softening, filtration, ion exchange, ultrafiltration, and RO membranes, achieving high recovery of low TDS permeate for reuse by the CTX facility. HERO™ is a patented process, most suited for applications where feed water is high in both organic and inorganic foulants. The operating environment of a HERO™ system eliminates scaling and fouling by biological growth, organic species and oil and grease. The result is that an AquaEZ system requires less downtime for cleaning than a conventional RO based wastewater treatment system. The concentrated brine from the Water Recycle system is further concentrated in the ZLD system, recycling the remaining water as distillate. The ZLD system is comprised of a HEVAP™ evaporator for brine concentration and a crystallizer to achieve ZLD. 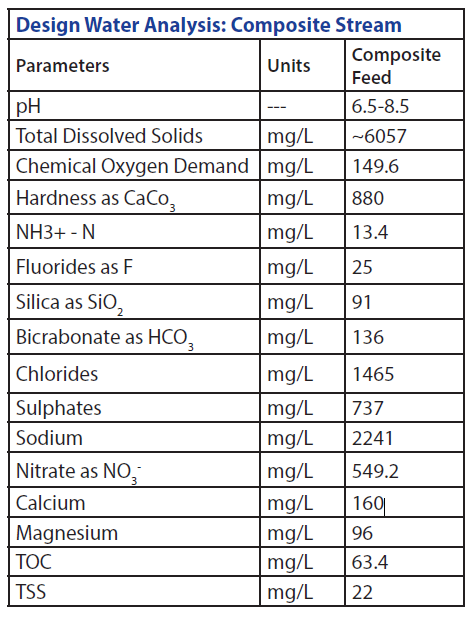 The concentrated HERO™ reject brine from the Water Recycle system is non-scaling. The HEVAP™ evaporator is designed with a very low ΔT (temperature difference between the heating medium and the boiling brine) and a high recirculation rate. The result is scale free evaporator operation and lower power consumption. The crystallizer is the final brine concentration step. The crystallizer further concentrates the brine from the evaporator. As concentration occurs, salts are precipitated, grown into crystals and harvested by a centrifuge. The dry salt is taken for suitable disposal. The permeate from the Water Recycle system and distillate from the ZLD system is treated to reduce NH3 and TOC to specified limits. A stripping tower is used to treat the distillate and the combined distillate and permeate is treated by activated carbon and SAC ion exchange columns.